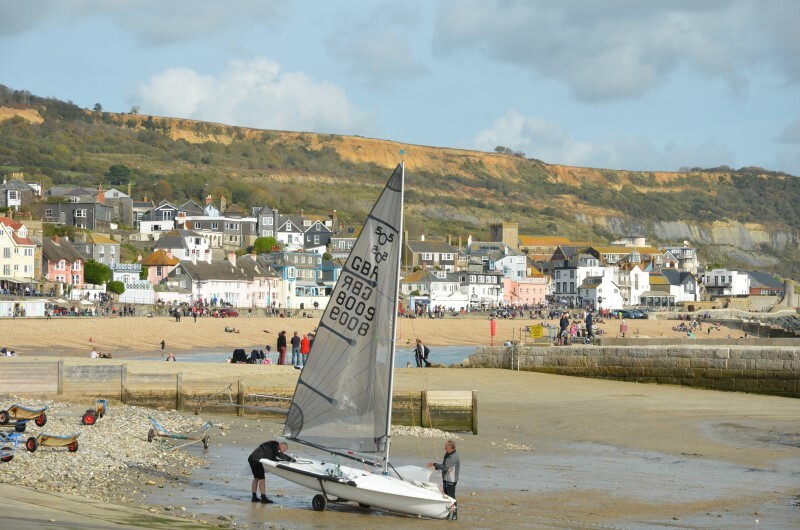 Visitors to Charmouth have easy access to the historic town of Lyme Regis which is just two miles away. At low tide you can walk along the beach from Charmouth to or from Lyme Regis searching for the famous Lyme Regis fossils. This route becomes impassable as the tide comes in. Cliff top walks that used to take you to Lyme are now closed due to the landslips which have exposed the Charmouth and Lyme Regis fossils on the beach below. The diverted South West Coast Path follows the road for part of the way. However, regular bus services provide easy access to Lyme Regis from Charmouth without the strain of finding parking. If you want to drive, the Charmouth Road Car Park (next to the football club as you approach Lyme town centre) provides cost effective parking. A new footpath and steps to the sea wall give spectacular views across Lyme Bay. As with Charmouth, Lyme Regis is renowned throughout the world for its fossils, although many actually come from the landslips that form the cliffs between the two towns. The most common fossils you can find are ammonites and belemnites, although there have also been many marine reptiles found. Mary Anning became famed for her work discovering and identifying the Lyme Regis Fossils in the early 19th century. At a time such work would have been frowned upon for ladies and it certainly would not have been considered a career. However, Mary supported her family by selling her finds. Gradually she established an international reputation from the initially sceptical experts of the day. The tongue twister ‘she sells sea shells’ comes from a music hall song based on the exploits of Mary Anning. The Lyme Regis Museum has had a major upgrade and extension built (open July 17) with extensive displays of the local Lyme Regis Fossils. 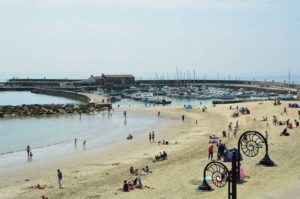 There are many events in Lyme Regis throughout the year including a three day Fossil Festival, Folk Festival, Food Festival, the largest band in the world with Guitars On The Beach, Lifeboat Week, Red Arrows display, and many more. 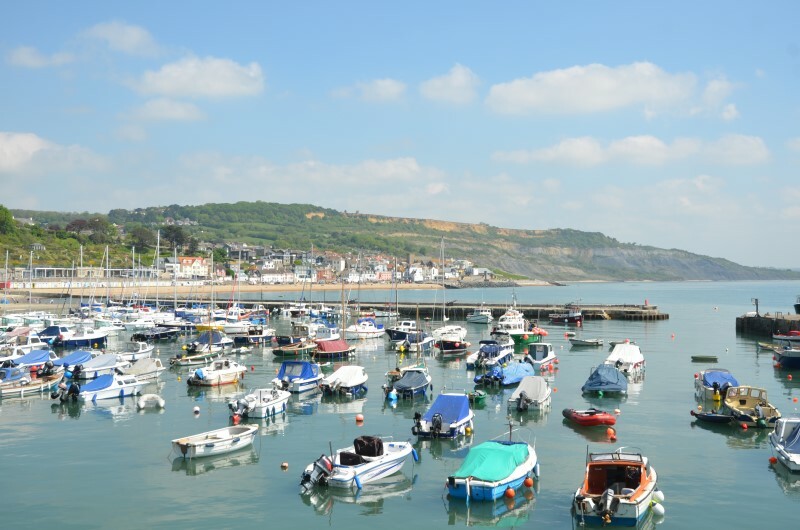 The town and beaches in Lyme Regis can get very busy and noisy at times, and while it is great to visit the events and attractions, many visitors to the area find it satisfying to retire to the peace, tranquillity and convenience of Charmouth.